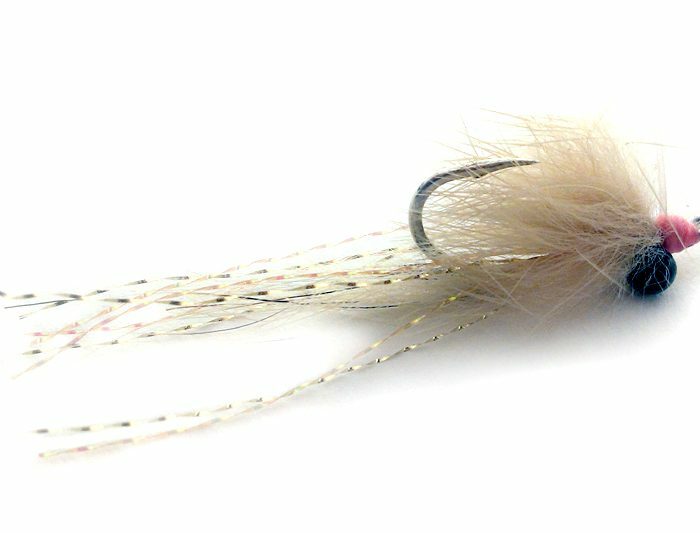 This is a reverse-engineered version of The Usual, one of the best Cayman bonefish shrimp flies (which is actually an evolution of Vaverka’s Mantis Shrimp). I tied the Simple Shrimp to be a little heavier and display a more “defensive” posture when sitting, by simply splaying the silicone legs. 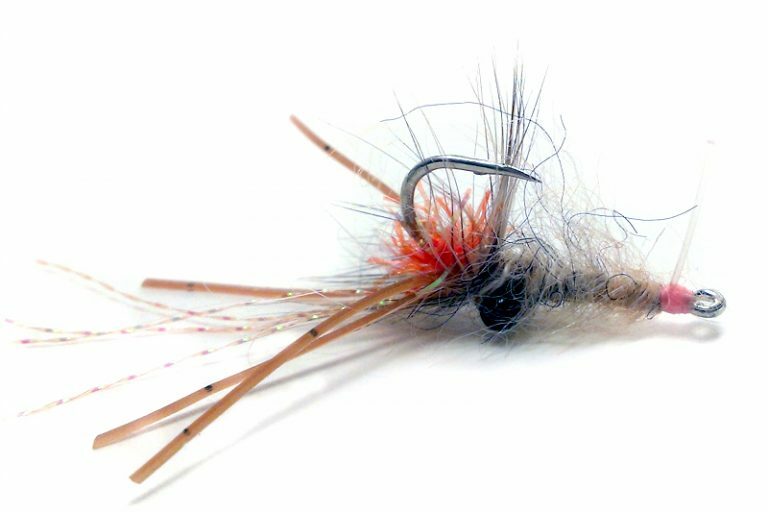 One of our top Cayman Bonefish Flies, this is a great tailing bonefish fly, especially tied in rust with a little orange in the tail. Also fishes well over sand tied in tan, white or pink. Weedless, rides hook-point up. 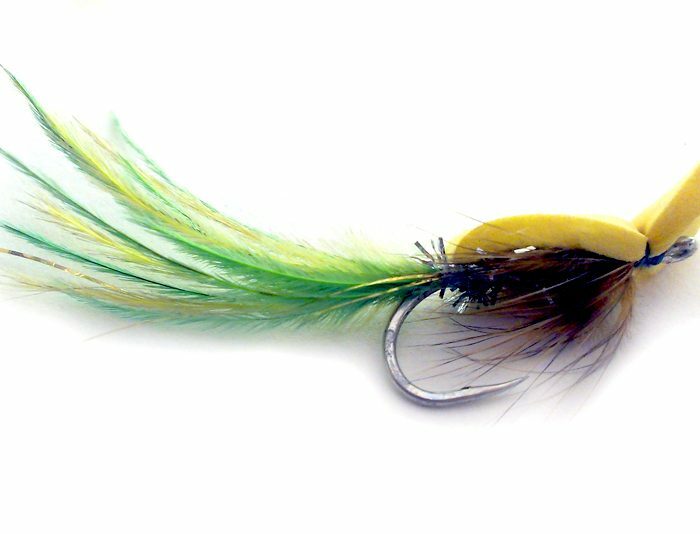 The palmered collar is an old FL Keys guide trick, and helps the fly land softer for spooky, tailing bonefish. Again, fish with short twitches—no long strips!—and keep the slack out… the bite is coming. 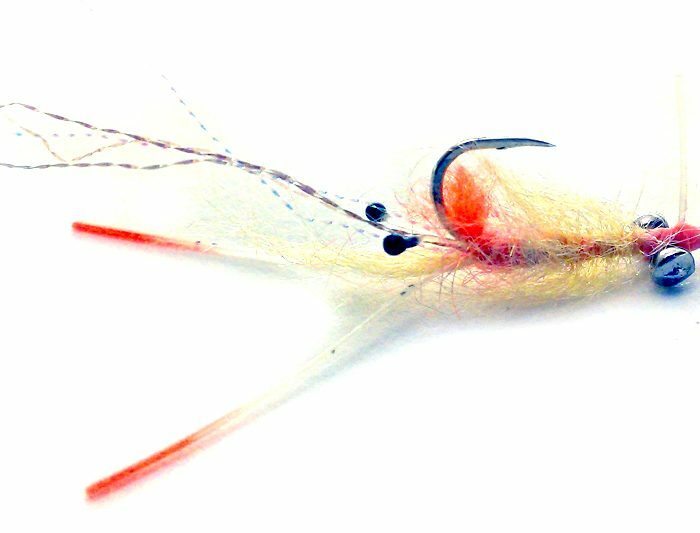 Learn how to tie the Simple Shrimp. Weight : Bead-Chain, Black, Med.